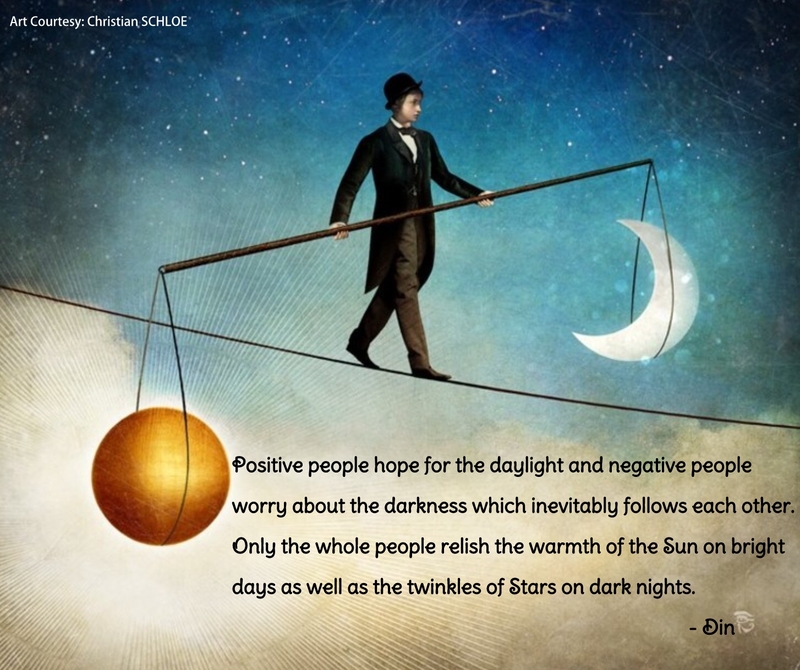 Positive people hope for the daylight and negative people worry about the darkness which inevitably follows each other. Only the whole people relish the warmth of the Sun on bright days as well as the twinkles of Stars on dark nights. Reblogged this on Nidur Seasons.